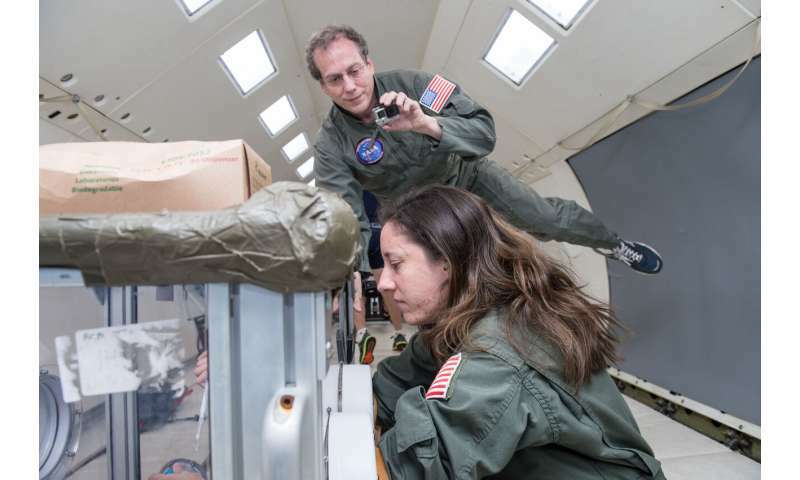 Feinberg notes that studying identical twins—who, by nature, have the same genetic material—was an important and rare opportunity to compare physiological and genomic changes when one twin went into space and the other remained on Earth. "However, since we only have two people in our study, we can't say that these changes are due to space travel itself," says Feinberg. 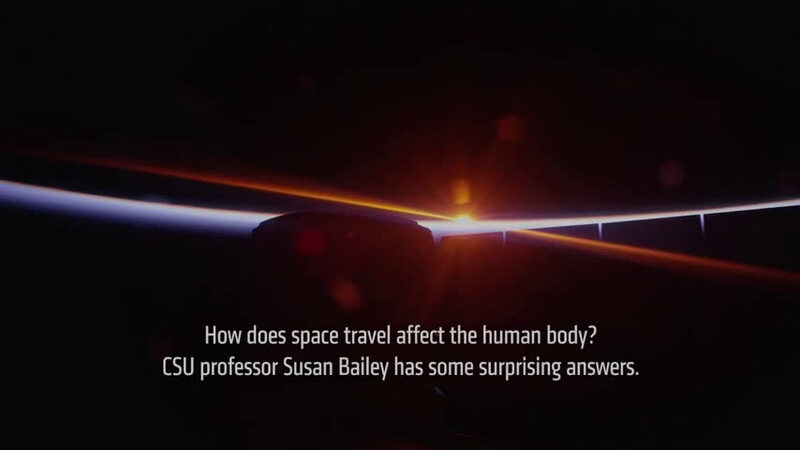 "We need more studies of astronauts to draw such conclusions." This is a very encouraging study for space flight potential. Well done. We've been labouring under the mistaken idea that all radiation is bad or has a notable impact. Studies done in Chernobyl and this story prove that it's time for scientists to reassess and determine if some radiation is harmless, or maybe even mildly beneficial. Gosh TB - a story involving the ISS, and your comment is missing your usual "ISS is a white elephant and complete waste of money" content. Are you prepared to admit that the ISS does serve some useful purpose after all? Still unknown is what happens after a year of cosmic ray exposure in deep space? The ISS in low earth orbit is subject to cosmic rays without the benefit of much atmosphere, but from the perspective of cosmic ray exposure, it's a lot closer to being a commercial airline pilot than being in deep space for a year. In deep space, half the cosmic rays are not stopped by the physical presence of the earth. In deep space, there is no earth's magnetic field to deflect much of the rest. I would say conservatively that deep space is probably four times the cosmic ray exposure of low earth orbit. Maybe only double the exposure for the really high energy stuff that makes it through the atmosphere and the magnetic field, but not the earth itself. Maybe hundreds of times the exposure for the weaker energy stuff that is almost completely deflected by the earth's magnetic field anywhere but the poles. Since the ISS is still well within the magentosphere of Earth ist is pretty well protected from charged particles. Solely the shielding effect of the atmosphere is missing. On the ISS the astronauts are exposed to roughly 0.8mSv per day. For comparison: A usual exposure is a bout 2 mSv per year (which can vary quite a bit depending on where you live). The level of radiation before an evacuation is called (at least over here in germany) is an exposure of 100mSv within 7 days. That said the unit Sievert helps to stochatically estimate the chances of contracting cancer (i.e. genetic problems). The study referred to in the article is looking at EPIgenetic effects (differences in protein expression). Why do they need identical twins? Why not compare pre and post space travel samples, of the astronaut? I realize that they were studying protein expression. I'm just saying the other unresolved long pole in the tent is cosmic rays. "Solely the shielding effect of the atmosphere is missing." No. The earth itself (the big rock under us) blocks half. . . and obviously wouldn't be present in "deep space." So, it's conservatively double for the lack of rock and double for the lack of magnetic field, but probably much more. . . Your Sievert analysis is flawed when dealing with particles (from electrons to iron nuclei) traveling at relativistic speeds that undergo spallation, like a frangible projectile, and essentially create through and through wound channels of ruptured cells. It has been estimated that 5% of brain cells could be lost in transit to Mars in this fashion, leaving a huge question about how the body can cope with requiring that type of renewal (never mind the more well studied cancer implications). It's like comparing bullet wounds to lead exposure. What is repugnant about the Sievert analysis is that the "science" behind it has been politicized and warped twice: once by the nuclear power industry over the last 50 years, and then again by NASA in the context of space exploration because they are not sure they will need to have or want to pay for adequate shielding, magnetic or physical.